Oliver has worked in the banking industry for 35 years, currently serving as the Executive Director of the Potomac Exchange, a private membership organization of executives from global firms providing opportunities to meet with recently accredited foreign ambassadors. Prior to this, Oliver was the Director and Market Executive of Bank of America’s Global Government Division where he was responsible for the oversight and management of relationships with international organizations, embassies, consulates, and related diplomatic institutions in the United States, and with international government entities throughout the world. Additionally, he oversaw the management of U.S. government agencies with international activities. In previous positions at Bank of America, Oliver was a Client Manager in the same division, managed Bank of America’s Commercial Loan Administration Group in the Mid-Atlantic region for two years, managed the sales coordination and marketing function for the Commercial Group in Maryland and the International Department for two years at Sovran Bank/Maryland, a predecessor to Bank of America. Prior to joining Bank of America, Oliver worked for Hessische Landesbank and Westdeutsche Landesbank in New York. Oliver is a recipient of the Order of Merit from the Federal Republic of Germany. A graduate of Leadership Montgomery, Oliver also serves as Treasurer of the European Institute, Treasurer of the German American Business Council in Washington, D.C., and Treasurer of the Endowment Committee for the Emanuel Lutheran Church. Lori serves as Ernst & Young’s Abilities Strategy leader, driving efforts to build an enabling and inclusive work environment for people of all abilities. She consults on accommodations and career development issues for EY staff working with differing abilities, and advises the firm’s AccessAbilities professional resource network, which includes over 900 people from across the organization’s geographies, ranks, and functional groups. Lori leads initiatives to enhance ergonomics and accessibility in EY offices, communications, meetings, trainings, and technology and to educate EY people on abilities-related issues. Lori is a member of the U.S. Department of Labor’s Circle of Champions and serves as Secretary/Treasurer of the U.S. Business Leadership Network Board of Directors. She’s been with EY 16 years. 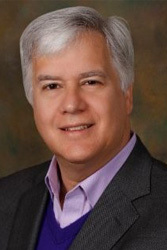 Roger has been in practice for more than 30 years as a corporate and business adviser – initially as a tax accountant/consultant and most recently as a business attorney. He is a founding and managing partner of his law firm. As a founding and managing partner of his law firm, he has a unique firsthand experience to make business decisions that required management of the delicate balance of return vs. risk. Maggie has over 40 years of disability policy and program experience as well as disability community involvement. 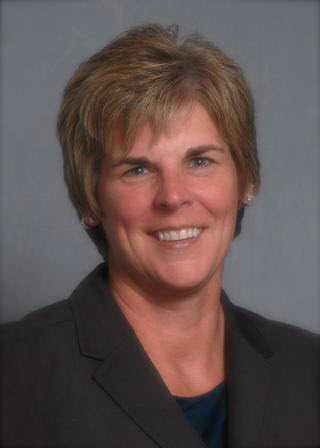 Her professional managerial positions have been with the Planning Office at the University of Maryland, the Trauma Counseling Team at Suburban Hospital in Bethesda, Maryland, the Montgomery County Maryland Disability Resources Division, the President’s Committee on Employment of People with Disabilities, and the U.S. Department of Labor’s Office of Disability Employment Policy. Since retiring from the federal government in 2010, Maggie has served as a senior consultant with the U.S. Business Leadership Network. In the past, Maggie served on advisory boards to the disability offices at the University of Maryland and Montgomery College and was on the executive board committees for the Spinal Cord Injury Network of Metropolitan Washington, H.O.W., and Independence Now. Since 2010, she has served on TransCen’s board. Maggie resides in Gaithersburg, Maryland with her husband, Larry, a combat-injured disabled Vietnam veteran who has been a wheelchair user for 45 years. She and Larry delight in their two children and their five grandchildren. Andrew “Drew” Davis is an Associate at Scheer Partners, a commercial office real estate firm. There, he is responsible for cultivating and maintaining tenant and landlord relationships. Mr. Davis began his professional career in Boston, working in the private banking industry for Brown Brothers Harriman before moving to the Washington, DC Metro Region. In his free time Drew enjoys being outdoors. From golfing to hiking. Drew is also a self-proclaimed foodie, trying new restaurants and attempting to cook the perfect meal. After losing a leg as a result of combat in Vietnam, Ron Drach left the U.S. Army in 1967 with a Purple Heart and was medically retired and soon focused his life working to help his fellow disabled veterans. After some time with the U.S. Department of Veterans Affairs, he joined the staff of the Disabled American Veterans in 1970, eventually becoming the organization’s national employment director. In this role, he established the reputation he maintains today as one of the nation’s foremost authorities on employment issues affecting veterans and others whose lives have been affected by disabilities. Ron’s responsibilities led him to provide significant input into America’s response to the needs of veterans affected by post-traumatic stress disorder, homelessness, racial and gender discrimination, and other socio-economic issues. He became a leading voice on efforts to remove barriers that impede the lives and employment of persons with disabilities. Many times throughout his career, Ron has appeared before Congressional committees, offering expertise and recommendations for legislative change. After leaving the DAV, Ron was employed by the Labor Department’s Veterans’ Employment and Training Service, and now, as President of Drach Consulting, LLC. Over the years, Ron served on many commissions established by the VA, Labor Department, congressional committees, and others involved in enhancing the lives of disabled veterans and other people with disabilities. He has also served on the governing boards of the President’s Committee on Employment of People with Disabilities, the National Coalition of Homeless Veterans, the National Resource Directory and others. Ron also serves on the boards of United Spinal Association and the Amputee Coalition. He is a coauthor and coeditor of the Warrior Transition Leader Medical Rehabilitation Handbook written for the Army’s Wounded Warrior Program’s leadership. Ron lives in the Maryland suburbs of Washington, D.C., with his wife, Carolyn, a retired financial analyst for the Federal Reserve. They have two adult daughters, Tiffany and Amber and two grandchildren. Megan Ganesh, owner and chief service provider for Dance4Life & Health, is committed to helping seniors build strong hearts and bodies through cardiovascular and toning exercise. She is also dedicated to helping seniors reap the mental health benefits of fitness by creating new bonds and friendships through Zumba®. She lives in North Bethesda with her husband and enjoys reading, writing and cooking. Corey McClintock works for the Education Advisory Board (EAB) on the account management team. Prior to this, McClintock worked in major gift fundraising for Hobart and William Smith Colleges. 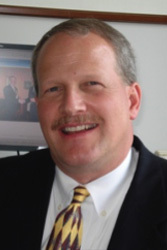 McClintock lives in North Bethesda, Maryland and has been on the board of TransCen for 2 years. Dr. Jane Quenneville is a principal at the Kilmer Center (Fairfax County, VA Public Schools), a school for students with Autism, Intellectual Disabilities, and students who are physically challenged with medically fragile conditions. Before coming to the Kilmer Center, Dr. Quenneville served for two years as Executive Director of Special Education for the Alexandria City, VA Public Schools, plus three years as the Director of Special Education. She also spent two years as a monitoring-and-compliance coordinator for Alexandria’s school system. Prior to that, she spent 21 years as an Occupational Therapist, Assistive Technology Specialist, and a Special-Education Coordinator for Virginia Beach City Public Schools. She won that school system’s Teacher of the Year award in 2000. Dr. Quenneville was instrumental in initiating a Project SEARCH site at INOVA Alexandria Hospital in 2012 for students aged 18-21 with disabilities. In addition, she started one of the first TeachLivE simulated learning sites for students with Autism to work in a mixed reality learning environment on social and communication skills. Dr. Quenneville also serves on the Council for Exceptional Children’s Board of Directors and is a member of the Council for Administrators of Special Education. A Detroit native, Dr. Quenneville earned a Doctorate in Educational Leadership, Gifted Education, and Curriculum and Instruction from the University of Virginia. She also holds a Master’s Degree in Resource Collaborative Teaching from the College of William and Mary and a Bachelor’s Degree in Occupational Therapy from Western Michigan University. Carmen Rojas currently serves as the Director of Development for the Hispanic Business Foundation in Bethesda, Maryland. She also coordinates most of the activities of the HBF’s youth programs. She serves as a liaison between the small and mid-sized business community in Montgomery County, particularly the Hispanic and other minority groups owned businesses, and young adults looking for internships and jobs. Margit was instrumental in the founding of TransCen, and has empowered thousands of Montgomery County, Maryland residents to triumph over adversity. 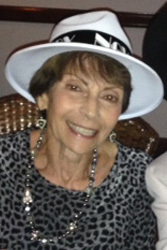 Born in Austria and raised in Prague, Margit fled to France when the Nazis annexed Czechoslovakia. After a hair-raising escape from the Nazis, she came penniless to the United States. She eventually settled in the Washington D.C. suburbs where she worked for 20 years for the Montgomery County Public School (MCPS) system. When she retired, she was saluted as an outstanding advocate for children with disabilities. She founded a countywide program that coordinates PTA Special Needs Committees throughout MCPS and provides support for parents of children with disabilities. 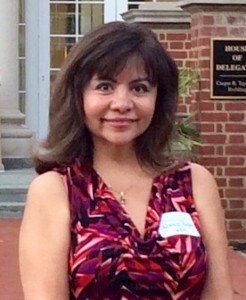 As an MCPS employee, Margit shed light on equal opportunity for students with disabilities. She introduced programs for gifted students with learning disabilities and cleared obstacles to the first MCPS curricula for students with autism. As MCPS transition coordinator, she developed a model that continues to provide support to special education students as they prepare for life after graduation. Upon her retirement from MCPS in 1992, she worked with the school system to implement compliance activities associated with the Americans with Disabilities Act. In this role, she produced an award-winning public service video designed to reduce the stigmatization of persons with disabilities. 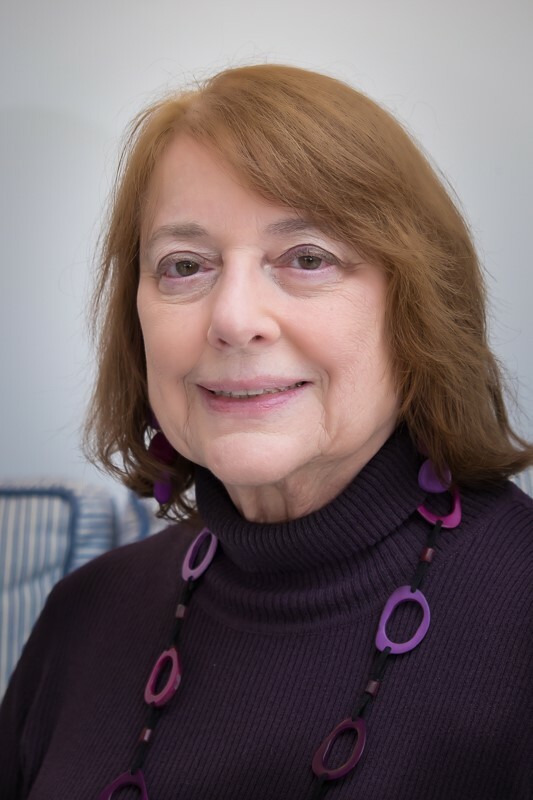 Many organizations have saluted Margit as an outstanding advocate for children with disabilities and the including the Maryland Governor’s Committee on Employment of People with Disabilities, the Maryland Arc. In 2003, MCPS presented her with a Distinguished Service Award and named her as “Pioneer Individual” for significantly impacting the successes of special education curricula in the county. Judy, a co-founder of TransCen, has devoted her life as an advocate for children and adults with disabilities and their families. In addition to her work with TransCen, Judy served on the board of the Ivymount School in Rockville, Maryland, a non-public school serving students with autism, developmental disabilities, communication disorders, learning disabilities, and health impairments. She previously served as an executive board member of the Learning Disabilities Association of Montgomery County, Maryland. She has also served on the advisory committee to the Superintendent of Special and Alternative Education of Montgomery County Public Schools, the advisory committee to the Office of Special Education in the Maryland State Department of Education, the advisory committee to the Office of Special Student Services at Montgomery College, and the advisory committee of Montgomery County Public Schools’ Department of Staff Development. In recognition of her work for individuals with disabilities, Judy has received the Montgomery County Volunteer Activist Award, the Montgomery County Public Schools Recognition Award, and Honorary Life Membership from the Maryland Congress of Parents and Teachers. William, a co-founder of TransCen served as President and CEO of the Atlantic Research Corporation from 1985 to 1989, a Virginia-based company involved in the design and manufacture of solid propellant rocket motors and electronic systems for military and commercial applications. Prior to this role, he served as Director of the Finance, Space, and Electronics Division at Fairchild Republic Corporation, a Maryland-based aerospace and aircraft manufacturing company. From 1959 to 1963, he was the comptroller at Avien, Inc., a New York-based avionics company. Mr. Borten devotes an extraordinary amount of time to the community. 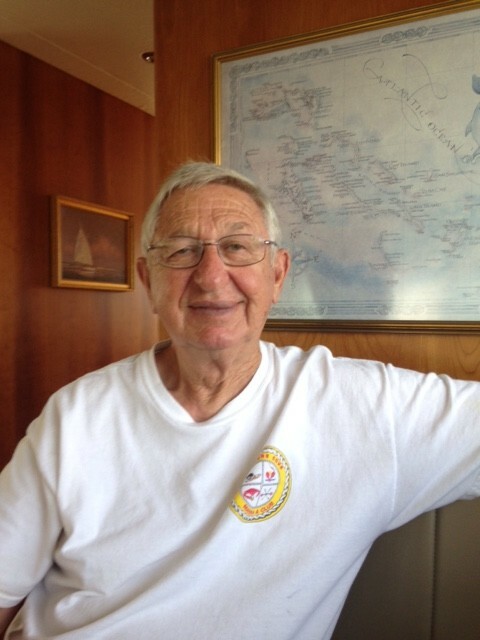 He has been a board member at TransCen since 1989. He also served on Adelphi University’s Board of Trustees from 1980 to 1989, and was chairman of the finance committee from 1988 to 1989. He has been inducted into Adelphi’s Academy of Distinguished Alumni and Delta Mu Delta, Beta XI Chapter (National Honor Society in Business Administration). He has been honored by the National Business Society, and is a member of the Corridor of Distinguished Business Alumni.